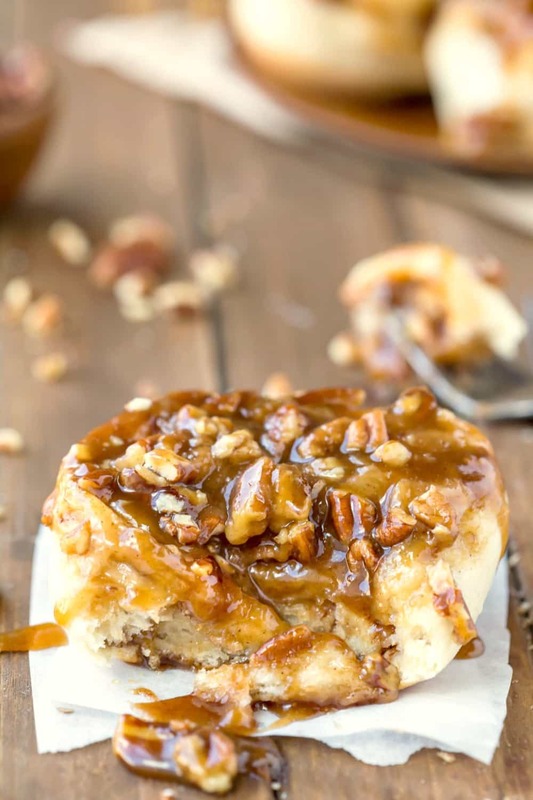 One hour caramel rolls are caramel sticky buns that are made from scratch in just 60 minutes! Such a simple, easy breakfast! It’s been hot here since March, and my kids are already back in school. I’m ready for some cooler fall weather! 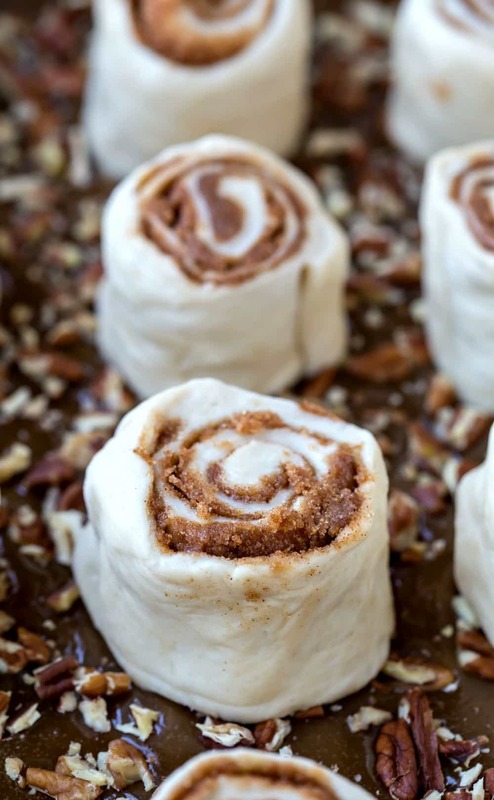 I’m ready for pumpkins and apples and lots of fall baking – like these One Hour Caramel Rolls. 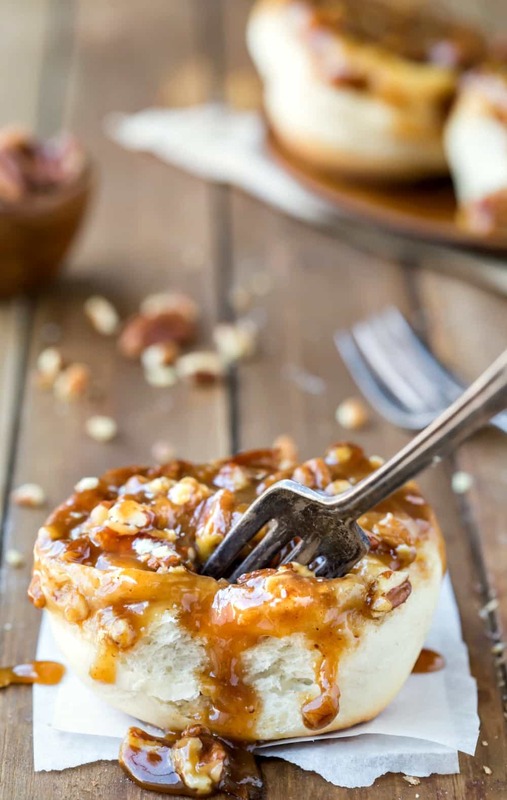 These one hour caramel rolls are just so good! The rolls are made from scratch and are ready in just 60 minutes. 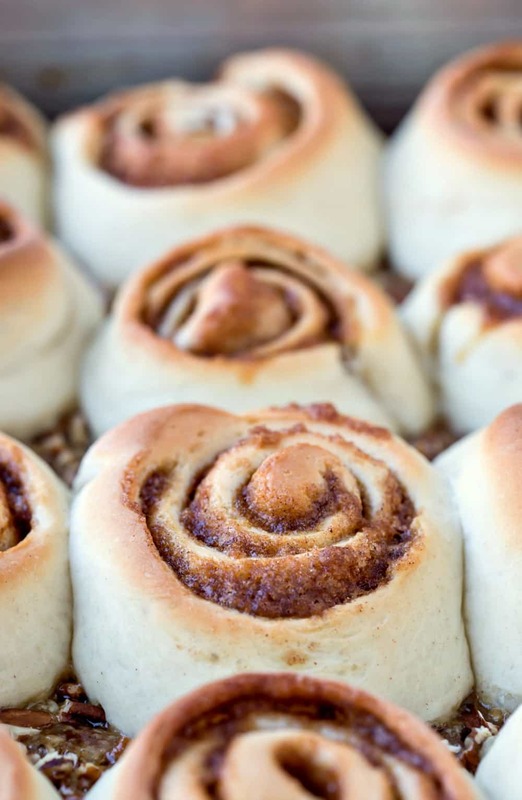 They are soft sweet rolls filled with a cinnamon-brown sugar filling. 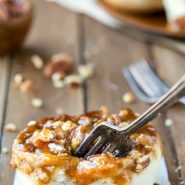 They’re topped with a rich caramel-nut topping. Since they’re so quick and easy, they make a great weekend or holiday breakfast (or dessert). 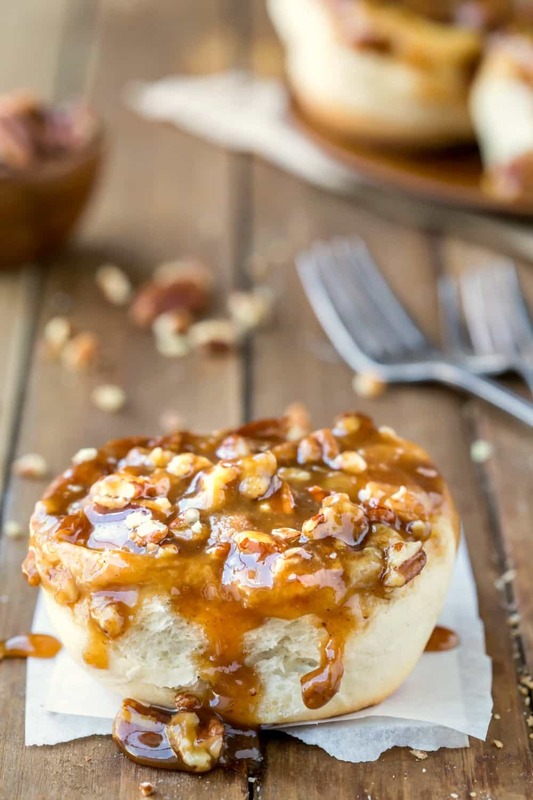 One hour caramel rolls are caramel sticky buns that are made from scratch in just 60 minutes! To make the topping, add butter, brown sugar, corn syrup, and cream to a heavy saucepan. Whisk ingredients until melted and well-combined. Let caramel mixture just come to a boil, and then remove from heat. Pour caramel topping into prepared baking dish, and sprinkle nuts over caramel. Set aside. To make the roll dough, in a small saucepan, stir milk, sugar, and butter together. Heat over low heat just until butter melts and sugar dissolves. Cool to about 100-105 F.
Cut into 12 pieces. I use a serrated knife to cut the dough. Excuse me while I wipe the excessive drool off of my keyboard. These look absolutely incredible!! NEED to try them soon!